favorite memories, or photos outside of the attraction for possible publication on this website. We look forward to hearing from you, savvy? Susan shows us her stunning skull tattoo! 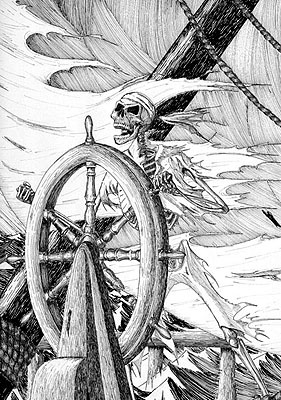 Roy Stanton's pen and ink drawing gives us chills! Join TellNoTales.com fan Diana Aitken as she takes us behind the scenes of the Disney Gallery's "Yo Ho - A Pirate's Life for Me" exhibition of sketches, sculptures and artwork from the development of Disneyland's Pirates of the Caribbean attraction. Click here to read the story! Ahoy, Mates... Join the Crew! 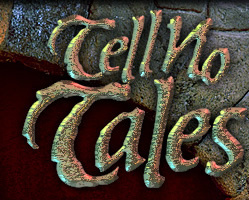 That's right - for a mere $9.99 (+ shipping) you can join the TellNoTales.com crew as an official, card-carrying Fan Club Member! 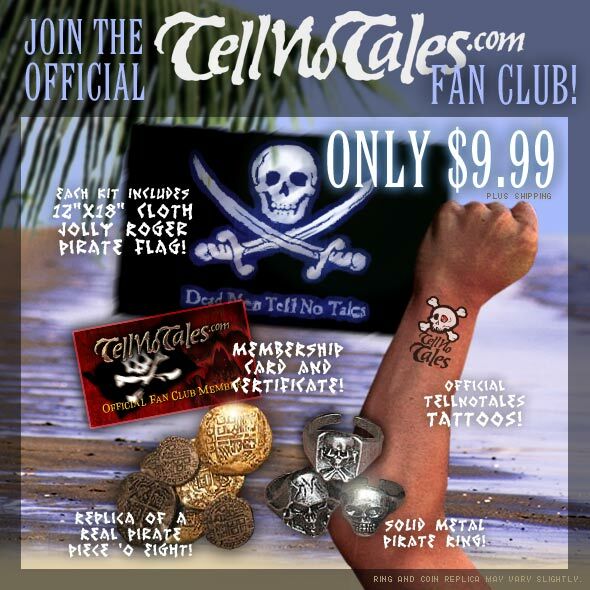 Your one-time membership fee of just $9.99 includes a 12x18 cloth Jolly Roger, a replica of a real pirate treasure coin, a solid metal pirate skull ring, a few TellNoTales.com temporary tattoos, your membership card and certificate, and a few other surprises.